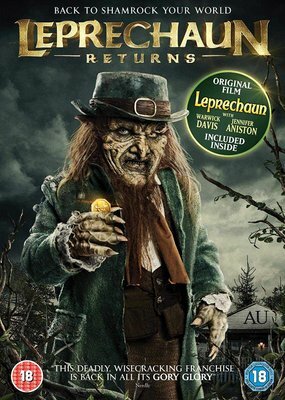 The deadly, wisecracking Leprechaun is back in all his gory glory. When the sorority sisters of the Alpha Upsilon house decide to go green and use an old well as their water source, they unwittingly awaken a pint-sized, green-clad monster. The Leprechaun wants a pot of gold buried near the sorority house, but first he must recover his powers with a killing spree - and only the girls of AU can stop him.